The international crude oil price of Indian Basket as computed/published today by Petroleum Planning and Analysis Cell (PPAC) under the Ministry of Petroleum and Natural Gas was US$ 53.29 per barrel (bbl) on 19.12.2016. This was higher than the price of US$ 52.35 per bbl on previous publishing day of 16.12.2016. A large number of important policies, activities, decisions and initiatives were undertaken by the Ministry of Petroleum & Natural Gas in last one year. The achievements were in downstream, midstream as well as upstream sectors. The year was declared as the year and saw launch of a number of people-oriented initiatives. Government has approved Rs. 8000 crore under the Pradhan Mantri Ujjwala Yojana (PMUY) for release of 5 crore deposit free new LPG connections to Women of BPL families over three years, i.e. FY 2016-17, 2017-18 and 2018-19. The scheme will provide an initial cost of Rs. 1600/- for providing LPG connection to poor households in the name of women of the household. The Prime Minister launched the scheme on 01.05.2016 at Balia, Uttar Pradesh. LPG connection to BPL families is being provided to the BPL family access to clean cooking fuel. The provision of LPG as a cooking fuel helps in addressing health problems caused by use of traditional sources of cooking fuel such as fire wood, coal, cowdung, etc. This will in turn enhance productivity of woman, raise their quality of life by removing drudgery associated with collection of wood and ensure them against non-availability of cooking fuel, at times. Under the scheme, the Government of India provides deposit free LPG connection of BPL families identified through the Socio-Economic Caste Census 2011 data, which includes security of one cylinder, pressure regulator, hose pipe, installation charges and DGCC Book. The consumer has to purchase ISI standard gas stove, which is optional. Further, Oil Marketing Companies are also financing purchase of LPG stove and 1st refill to BPL customers on instalment basis, if they so desire. To ensure smooth supply chain of LPG cylinders to meet the demand, Government is in process of setting up of 10,000 new distributorships. Majority of these distributorships will come in rural areas to cater to unserved consumers. As on 09.12.2016, Oil Marketing Companies (OMCs) have released 12288517 new LPG connections under Pradhan Mantri Ujjwala Yojana (PMUY). Jharkhand has become first State in the country to implement DBTK and others have been requested to join the Scheme. Under the Scheme, the Kerosene is being sold at non-subsidised price and subsidy, as admissible, is being transferred to consumers directly into his/her bank account. The States would be given cash incentive of 75% of subsidy savings during the first two years, 50% in the third year and 25% in the fourth year. In case the States voluntarily agree to undertake cuts in kerosene allocation, beyond the savings due to DBT, a similar incentive would be given to those States/UTs. The initiative of the Government is aimed at rationalizing subsidies based on approach to cut subsidy leakages, but not subsidies themselves. The scheme will also stop diversion of Kerosene. State Government of Karnataka had volunteered to undertake cut in Kerosene allocation and the similar proposal has also been received from Government of Haryana and Government of Telangana. Further, Government of Haryana has requested to make the State Kerosene free by 31.03.2017. NCT of Delhi and UT of Chandigarh have been declared Kerosene Free cities effective 1st October, 2013 and 1st April, 2016 respectively and hence no PDS SKO allocation is made to them. PAHAL (Pratyaksh Hasthantarit Labh) is the world’s largest Direct Benefit Transfer Scheme. Through PAHAL, subsidy given to consumers is directly transferred to the registered account of the consumer without involving any intermediary. More than 16.99 crore consumers are registered to avail subsidy as on 28.11.2016. PAHAL Scheme has been acknowledged by the Guinness Book of World Records as the largest cash transfer programme (households). More than Rs. 38,276 crore of subsidy has been transferred to the LPG consumers through 204 crore transactions since inception of the Scheme. An intensive exercise was carried out for identifying duplicate / fake / ghost / inactive domestic LPG connections and, as of 01/04/2015, 3.34 crore such connections were identified. As a result of implementation of DBTL (PAHAL) mechanism, it became possible to block these 3.34 crore LPG connections as the subsidy was transferred in the accounts of only those consumers who had registered under PAHAL and who have been cleared after de-duplication exercise. For the financial year 2014-15, for 3.34 crore consumers outside the PAHAL net, the estimated savings would be 3.34 crore x 12 cylinders x Rs.369.72 (average subsidy per cylinder for FY 2014-15) equal to Rs.14,818.4 crore. Following a similar principle, the savings estimated for FY 2015-16 is Rs.6,443 crore and total savings for both the years works out to Rs.21,261 crore. Till date, around 105 lakh households have voluntarily given up their LPG subsidy, Nearly 63 lakh new LPG connections have been released to BPL families in Financial Year 2015-16 linked to Giveback campaign utilizing CSR funds of OMCs. Crude oil production during the year 2015-16 is at 36.950 Million Metric Tonnes (MMT) as against production of 37.461 MMT in 2014-15, showing a decline of 1.36%. Production of natural gas during the year 2015-16 is at 32.249 Billion Cubic Meters (BCM) which is 4.18% lower than production of 33.657 BCM during 2014-15. Crude oil production was mainly affected due to various reasons, including inter alia, less than envisaged production, natural decline due to mature fields and reservoir issues in some of the fields, rise of water cut, restricted bowser movement due to Assam bandh and power supply failure. Natural Gas production was affected due to natural decline in some of the fields, underperformance of wells, closure of wells for maintenance activities, less off-take by potential consumers etc. There has been considerable increase in refining capacity in the country over the years. During 2015-16, there was capacity expansion by 15 Million Metric Tonnes Per Annum (MMTPA) with the commissioning of Paradip Refinery. With this increase, the refining capacity has now reached at 230.066 MMTPA. Refinery Crude throughput (Crude Oil Processed) during 2015-16 was 232.854 MMT. The Government, through Oil Marketing Companies (OMCs), is implementing Ethanol Blended Petrol (EBP) Programme under which, OMCs sell ethanol blended petrol with percentage of ethanol upto 10%. In order to improve the availability of ethanol, the Government on 10.12.2014, inter-alia, decided to fix the delivered price of ethanol in the range of Rs. 48.50 per litre to 49.50 per litre, depending upon the distance of distillery from the depot/installation of the OMCs. Further, ethanol produced from other non-food feedstocks besides molasses, like cellulosic and lingo-cellulosic materials including petrochemical route, has also been allowed to be procured. Due to these efforts, for the sugar year 2014-15, a quantity of 67.42 crore litre has been procured, almost doubling the supply of ethanol as compared to previous sugar year. For Sugar year 2015-16, Oil Marketing Companies have contracted 130 crore litres of ethanol till 26.7.2016. On 10th August, 2015, the Government has issued notification to allow the sale of Bio-diesel (B100) by private manufacturers to bulk consumers like Railways, State Transport Corporations and other bulk consumers. Also, retailing of bio-diesel blended diesel by Oil Marketing Companies has started on the same day. As on 1.7.2016, 1.32 Cr Litre biodiesel (B100) has been procured by OMCs. In furtherance of the decision of the Government to allow procurement of ethanol produced from cellulosic and ligno-cellulosic feedstock, Numaligarh Refinery Limited (NRL) has completed the Detailed Feasibility Report (DFR) for a project to set up a bio-refinery for production of 49 TMT of bio-ethanol per annum from bamboo, in collaboration with M/s Chempolis Oy, Finland, at a project cost of Rs. 950 crores. Ministry of Petroleum & Natural Gas vide order dated 19.01.2015 has notified the implementation of BS-IV auto fuels in the entire country w.e.f 01.04.2017 in a phased manner. It has been decided that the country will leapfrog directly from BS-IV to BS-VI fuel standards and BS-VI standards will be implemented in the country w.e.f 01.04.2020. The eastern India gas corridor i.e. Jagdishpur-Haldia pipeline (JHPL) project of 1847 Km is being implemented by GAIL. The design capacity of JHPL is 16 MMSCMD. JHPL project is considered for meeting the energy and feed stock needs of various industries (viz. Fertilizer Plants, Power Plants, City Gas Distribution etc.) en-route the Pipeline in Uttar Pradesh , Bihar, Jahrkhand and West Bengals. GAIL is implementing the JHPL in a phased manner at the total cost of about Rs. 13000 crore. Survey work for the entire project has been completed. GAIL has started work on execution of Phase-I of JHPLTrunk line of 341 Km from Phulpur (U.P.) to Gaya (Bihar) along with Spur-lines (414 Km) to Varanasi, Gorakhpur, Patna and Barauni at the cost of about Rs 4000 crore. GAIL has opened the pipeline construction office at Patna (Bihar). The activities related to acquisition of Right of User (RoU) for pipeline laying has been commenced. The construction work on pipeline sections of 236 Km in Bihar (Patna and Barauni) has been commenced on September 15, 2015. Further, GAIL has taken steps to procure Line pipe for mainline from Phulpur to Dobhi (316 Km) and work is in progress. Phase-I of JHPL project is expected to be completed by 2018-19 in synchronization of anchor gas customer and gas sources. The matter was considered in PIB meeting held on 6th July, 2016 and it was agreed to provide 40% monetary support of the capital cost to GAIL from Government Budget. All Oil PSUs have formulated INDEG (Indigenisation Group) to increase the domestic component in all kinds of procurements. MoUs have been signed with research and academic institutions to develop indigenous technologies. The work on the feasibility for establishing a Petroleum Economic Zone is in an advanced stage. A concept note on use of OIDB funds for Make in India has been sent to Min. of Finance and Niti Aayog for comments. 12. Indian Strategic Storage Programme for storage of crude oil by Indian Strategic Petroleum Reserves Limited (ISPRL). Ministry of Petroleum and Natural Gas, in pursuance to the decision of the Union Cabinet on 7th January, 2004, through Indian Strategic Petroleum Reserves Limited (ISPRL), has constructed Strategic Crude Oil Reserves with storage capacity of 5.33 Million Metric Tonnes (MMT) at three locations viz. Visakhapatnam (storage capacity: 1.33 MMT), Mangalore (storage capacity: 1.5 MMT) and Padur (storage capacity: 2.5 MMT) to enhance the energy security of the country. The reserves are being created by the Government so that the crude oil will address the oil needs of the country, in the event of a national calamity, disruption of supplies, unforeseen global event leading to scarcity of supplies/abnormal spike in prices etc. Indian Strategic Petroleum Reserves Limited is a Special Purpose Vehicle, which is a wholly owned subsidiary of Oil Industry Development Board (OIDB). The crude oil storages are in underground rock caverns and are located on the east and west coasts so that they are readily accessible to the refining sector. The capital cost of the three storages, namely, Visakhapatnam, Mangalore and Padur is Rs 4098.35 crore. As regards filling of crude oil in these caverns, the Cabinet Committee on Economic Affairs (CCEA), in its meeting held on 31st March, 2015 decided that the cost for filling crude oil in Visakhapatnam cavern will be met by the Government of India against the 12th Plan outlay of Rs. 4948 crore under the GBS Scheme of Ministry of Petroleum & Natural Gas for the Indian Strategic Storage Programme for storage of crude oil by ISPRL and the remaining amount would be used for filling up the strategic part of the caverns which are being constructed at Mangalore and Padur. Besides, Ministry of Petroleum and Natural Gas would continue to explore alternative models for filling part of the reserves in respect of Mangalore and Padur caverns including commercial utilization by other interested parties. The Vishakhapatnam and Mangalore storage facilities have already been commissioned. The facility at Vishakhapatnam has already been filled up and nearly one fourth of Mangalore storage facility has also been filled. The storage facility at Padur has also been completed. The production of petroleum products is at 231.924 MMT in year 2015-16 as against 221.136 MMT achieved n 2014-15, showing an increase of 4.88%. During the year 2015-16, the consumption of petroleum products in India was 183.495 MMT with a growth of 10.86% as compared to consumption of 165.520 MMT during 2014-15. Import of crude oil during 2015-16 was 202.851 MMT valued at Rs. 4,16,361 crore which marked an increase of 7.08% in quantity terms and 39.43% decrease in value terms over import of 189.435 MMT valued at Rs. 6,87,416 crore during 2014-15. The decline in value terms is related to reduction in average crude oil price from 84.2 US$/bbl in 2014-15 to 46.17 US$/bbl in 2015-16. During the year 2015-16 imports of petroleum products were 28.302 MMT valued at Rs. 65,803 crore which shows an increase of 32.87% in quantity terms and 11.84% decrease in value terms against imports of 21.301 MMT valued at Rs. 74,644 crore during 2014-15. During the year 2015-16, exports of petroleum products were 60.536 MMT valued at Rs. 1.76,733 crore which shows a decrease of 5.31% and 38.74% decrease in quantity and value terms against the exports of 63,932 MMT valued at Rs. 2,88,580 crore for the corresponding period of last year. The Oil & Gas Central Public Sector Enterprises and its Joint Ventures (CPSEs/JVs) under the administrative control of Ministry of Petroleum & Natural Gas have under Swachh Bharat Abhiyaan, completed construction of 20,186 school toilets with a total cost of Rs. 355.85 crore, providing services to more than 5.5 lakh girl students. Also Oil Marketing Companies have provided clean toilets in 51,846 Retail Outlets (ROs). Out of these, 21,750 ROs are having separate facilities for men/women as on 30.06.2016. Cabinet on 02.09.2015 approved Discovered Small Field Policy for monetization of 69 hydrocarbon discoveries made by National Oil Companies ONGC and OIL which could not be monetized for many years due to various reasons such as isolated locations, small size of the reserves, high development costs, technological constraints, fiscal regime etc. Policy notifications were issued. In addition, notifications for royalty and exemption of cess and customs duty were issued. MoP&NG decided to defer auctioning of two fields in Nagaland. The Ministry launched the bid on 15/07/2016. National and International Road Shows were held at various places. 134 e-Bids for the 34 contract areas under the Discovered Small Fields (DSF) Bid Round 2016 were received by the deadline of 1200 Hours on 21st November 2016. The bid round took place in a challenging global market environment when the oil & gas prices have been volatile and the investment in the exploration & production sector has seen substantial decline. Out of the total 134 e-bids received, 120 e-bids were received for onland areas and 14 e-bids were received for offshore areas. As many as 42 companies (Individually or as member of the bidding consortium) participated in the bid round. Cabinet on 10.3.2016 has approved Hydrocarbon Exploration and Licensing Policy (HELP) for award of hydrocarbon acreages. The salient features are (a) Single License for exploration and production of conventional as well as non-conventional hydrocarbon resources; (b) Open Acreage Policy-option to select the exploration blocks without waiting for formal bid round; (c) Revenue Sharing Model – simple, easy to administer – no cost recovery – no micromanagement by the Government – operational freedom to the operator; and (d) Pricing and Marketing Freedom – a major incentive for investment. DGH has initiated the process of preparation of various documents such as Notice Inviting Offer and Model Revenue Sharing Contract etc. and to operationalise the Open Acreage Policy. On completion of preparatory work, launch of bidding round can take place. This is a crucial step towards increasing India’s Hydrocarbon Production. Ministry has approved a project to appraise about 1.5 Million Sq. Km in 24 Indian sedimentary basins where no/scanty geo-scientific data is available. Under the project, 2D seismic surveys are to be conducted apart from drilling of parametric Wells. The acquired database will enable understanding of the geology and hydrocarbon prospectively of the areas for carving out and offering blocks for exploration. About 48,243 Line KM of 2D seismic data shall be acquired in onland area along with 4 parametric wells at a cost of approximately Rs. 5100 crore through the ONGC and OIL India Ltd. under the supervision of DGH. The project duration will be for five years (2015-2020). CCEA has approved a proposal to grant marketing including pricing freedom for the gas produced from High Pressure, High Temperature, Deepwater and Ultra Deepwater areas. The marketing freedom so granted would be capped by a ceiling price arrived at on the basis of landed price of alternative fuels. This initiative is expected to incentivize gas production in the country. Under the Skill Development Initiative of the Government of India, Oil & Gas PSUs under MoPNG are setting up 6 Skill Development Institutes (SDIs) in the country. IOCL SDI at Bhuvaneshwar, Odisha was inaugurated by Hon’ble MoS (IC) PNG, Shri Dharmendra Pradhan on 09th May, 2016. Pending allotment of land for a full-fledged Institute, the SDI has been established by refurbishing four sheds leased to Oil India Limited by Odisha Industrial Development Corporation. The first batch comprising 45 students each in Industrial Welding and Electrician was started on 30.06.2016. The students on successful completion of the 6 months course will be issued certificates aligned to National Skills Qualification Framework (NSQF) of the Government of India. For Industrial Welding the certification will be through the Mining Sector Skill Council and for Electrician through the Capital Goods Sector Council. Nettur Technical Training Foundation (NTTF) has been engaged as Training Partner. NTTF is providing faculty support and will also provide placement support. The students are charged a subsidized fee of Rs. 5000 each, while IOCL will incur an expenditure of Rs. 1 lakh on each student. Free hostel accommodation (lodging & boarding facility) has been arranged in the rented premises in the vicinity of the Institute for the students. 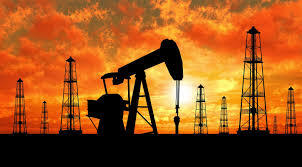 All Oil PSUs have been requested to prepare their Action Plan to facilitate “Start-Ups” in oil and gas sector. As per 13th Schedule of Andhra Pradesh Reorganisation Act, 2014, Indian Institute of Petroleum and Energy (IIPE) has been set up with the objective to meet the quantitative and qualitative gap in the supply of skilled manpower for the petroleum sector and to promote research activities needed for the growth of the sector. The Government of Andhra Pradesh has made available an area measuring about 200 acres of land in Visakhapatnam District for the Institute which is free of cost. IIPE Society has been registered on 18.04.2016. College of Engineering (Autonomous) situated in Andhra University at Visakhapatnam has provided the resources to start the IIPE sessions during the academic year 2016-17 in two B.Tech. Programmes, viz., Petroleum Engineering and Chemical Engineering. Rank list from JEE-Advanced, 2016 (IIT-Guwahati) has been received and Rank holders have been invited to apply for admission to IIPE. About 100 students have got admission in these two programmes. IIT-Kharagpur has been roped in to act as a Mentor Institution for starting the academic session. The capital expenditure for the project is estimated to be around Rs.655.46 crore (Rs.432.37 crore for the 1st Phase and Rs.223.09 crore for the 2nd Phase). Deficit funding against recurring Expenses for 2016/17 to 2014/25 period would be Rs.334.84 crore. The source of funding for the proposal would be through Gross Budgetary Support (GBS). Foundation stone of the Institute has been laid by Hon’ble MoS (IC), PNG on 20.10.2016. Permanent Campus of RGIPT has been inaugurated at Jais, Amethi, Utter Pradesh by Minister of State (IC), Petroleum & Natural Gas on 22.10.2016 in presence of Minister of HRD and Minister of Textiles. MoPNG has launched a number of consumers empowering initiating such as MyLPG.in providing online information to LPG consumers, rating of distributors based on delivery performance, SMS/IVR system to facilitate refill booking, E-SV (Sahaj) which is electronic subscription voucher released to consumer, LPG emergency help line No.1906, online payment facility for new connections and online portal to PNG customers for making bill payments. With the approval of CCEA in December 2015, ONGC Videsh Ltd acquired 15% stake in Vankorneft, a 100% subsidiary of Rosneft (Russia’s National Oil Company) at a cost of US $ 1268 million and completed all related formalities on 31 May 2016. The acquisition provides 4.53 MMTOE of hydrocarbon resources. OVL is presently negotiating acquisition of additional stake of 11% in Vankorneft and is expected to add 3.32 MMTOE of hydrocarbon resources. An Indian Consortium comprising Oil India Ltd (OIL), Indian Oil Corporation Ltd (IOCL) and Bharat Petro Resources Ltd (BPRL), a wholly owned subsidiary of Bharat Petroleum Corporation Ltd (BPCL), signed Share Sale Agreement (SSA) on 16 March 2016 in New Delhi for acquisition of 23.9% stake by the Consortium in Vankorneft from Rosneft. This acquisition is equivalent to 7.22 MMTOE of hydrocarbon resources. Presently, a draft ECS note is being process for obtaining requisite approvals. Once all acquisition formalities are completed i.r.o. 11% by OVL and 23.9% by the Indian Consortium, Indian public sector oil companies will have total 49.9% stake in Vankorneft and over 15.09 MMTOE of hydrocarbon resources will be added to India’s energy security. In tune with the Government of India’s act east policy, the Ministry of Petroleum and natural Gas has prepared a hydrocarbon vision 2030 for the north east India which was released on 9th February, 2016 in Guwahati. The document has been prepared in consultation with all stakeholders including the state governments. The Vision aims at doubling Oil & Gas production by 2030, making clean fuels accessible, fast tracking projects, generating employment opportunities and promoting cooperation with neighbouring countries. These synchronized goals and action plans emanate from the Vision to develop North East Region as a dominant hydrocarbon hub at the forefront of India's energy economy and a step towards realizing our Prime Minister’s vision to develop the North East India in a mission mode. The Vision rests on five pillars: People, Policy, Partnership, Projects and Production. The document, not only envisages doubling the oil and gas production, but it also chalks out an action plan to double the availability of petroleum products such as petrol, diesel and LPG by the year 2030. It proposes for expansion of Guwahati, Bongaigaon and Numaligarh refineries, establishment of bio-refinery at Numaligarh and development of network of natural gas, POL and LPG pipelines in the state. The Hydrocarbon Vision Document 2030 provides for an investment to the tune of Rs. 1.3 lakh Cr by the year 2030 in oil and gas sector in NE. Meanwhile we have already started implementing the action plan envisaged in the vision document. On 17th March the MOS(IC) PNG flagged off a rake containing NRL products for transporting to Bangladesh. NRL has done all the prep work for establishment of its bamboo refinery. For Siliguri-Parbatpur pipeline, NRL has entered into MOU with Bangladesh Petroleum and route survey and DFR has been completed. Guwahati Indmax has been commissioned in April 2016. For BGR Indmax project has been approved and will be completed by the year 2019. Augmentation of Gopanari bottling plant has been completed. Additional LPG tankage at Silchar, Manipur and Nagaland has been completed. In order to address the serious LPG shortage issues, IOCL has planned for the LPG terminal at Chittagong and laying LPG pipeline to Agartala. IOCL has signed an MOU with M/S Premium LPG in May 2016. PETROTECH-2016, the 12th International Oil & Gas Conference & Exhibition, organised under the aegis of the Ministry of Petroleum & Natural Gas, Government of India, was inaugurated by Hon'ble Prime Minister, Shri Narendra Modi, at Vigyan Bhawan on December 5, 2016. Shri Dharmendra Pradhan, Minister of State (Independent Charge), Ministry of Petroleum & Natural Gas, inaugurated the PETROTECH-2016 Exhibition at Pragati Maidan, New Delhi the previous evening on December 4, 2016. As the prime showcase of India's hydrocarbon sector, the three-day mega event saw participation of over 100 eminent speakers and 6,000 delegates from 68 countries, including technologists, scientists, planners and policy-makers, management experts, entrepreneurs, service-providers and vendors. During the events, 11 MoUs relating to the sector were signed.